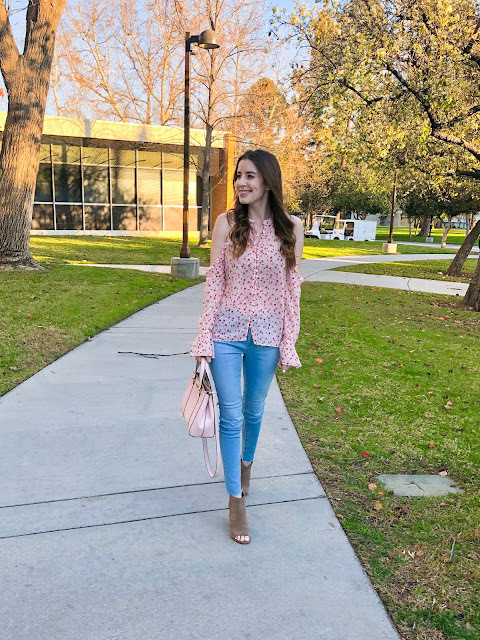 Hope you've had a great Wednesday! 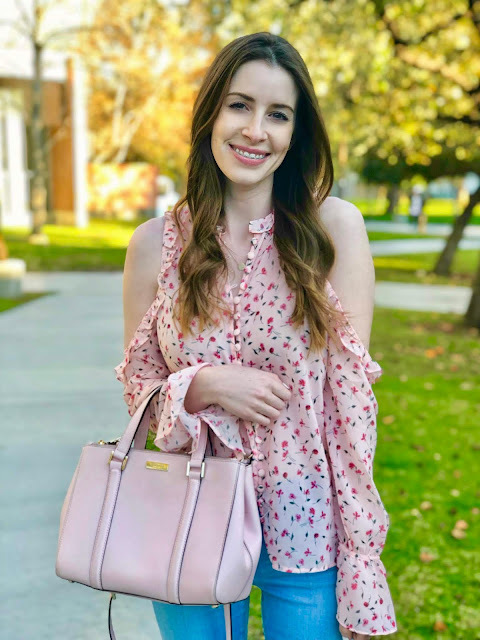 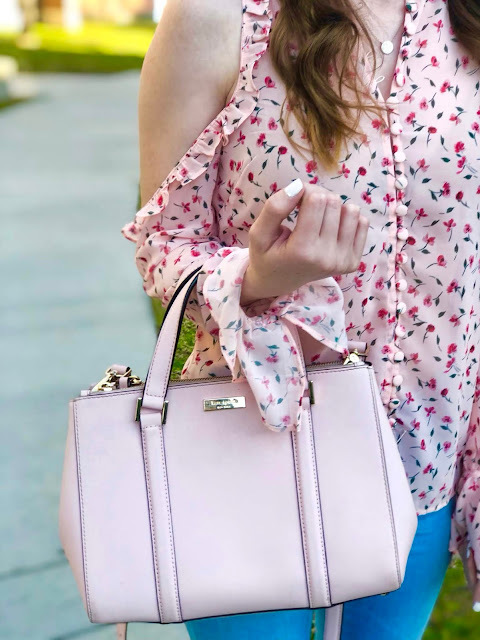 Today I'm sharing this floral button-up top I found from Revolve. Have you ever shopped there? I placed an order for the first time a week or two ago, and I'm pretty certain I will be ordering from them again. 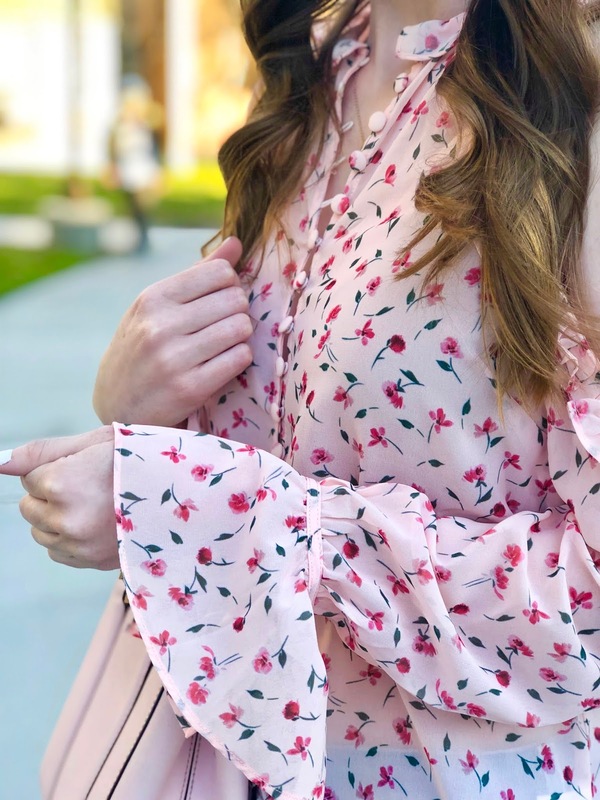 They have such cute things - take this blouse, for example. 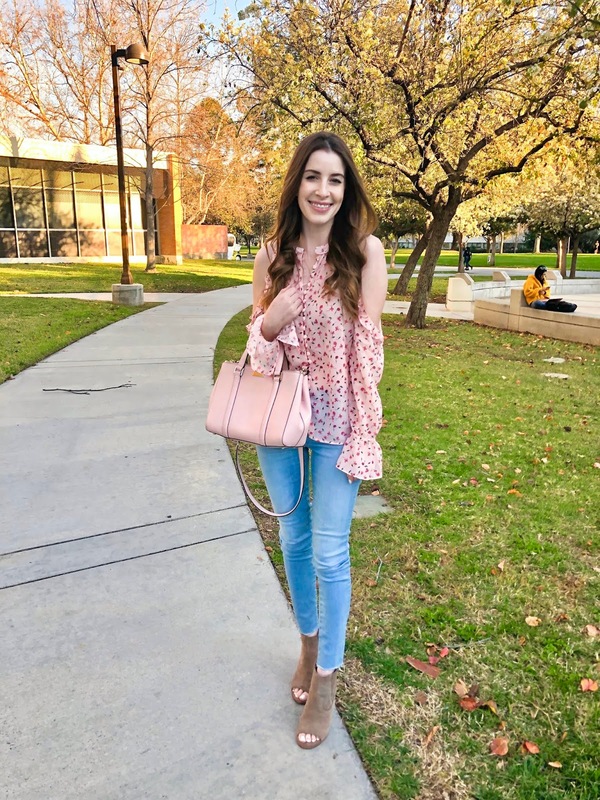 It's my favorite color, and the buttons and ruffles add soft, feminine touches that make this an ideal piece for spring. 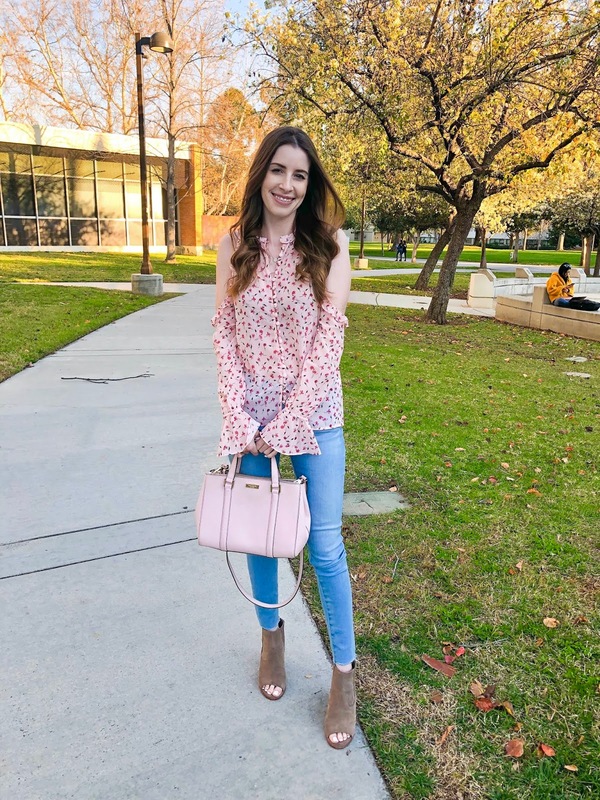 I wore it with light wash denim, but it would be super cute with dark blue or even white jeans.